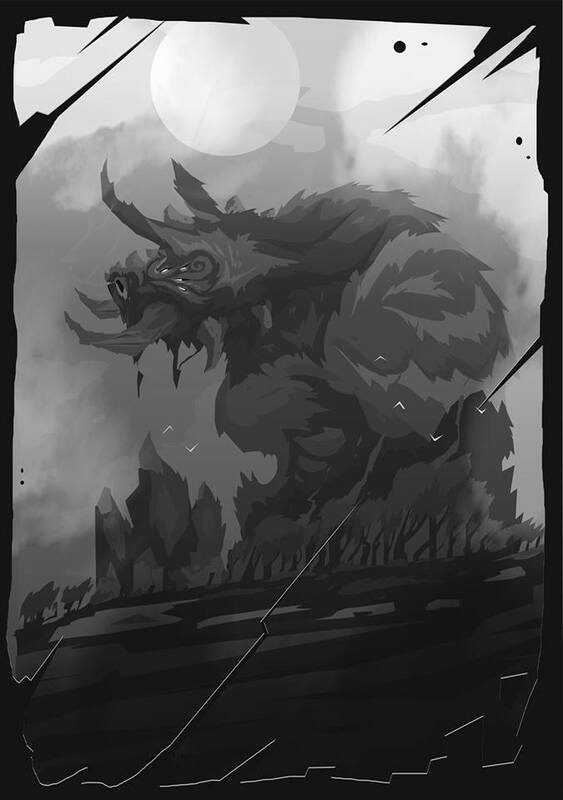 It is therefore with great pleasure that I introduce you to Vamakaskan, the Beast of Origins! A fairly simple Titan, which I will describe as a mixture of gigantic bull / boar, solitary and unconcerned of the rest of the world. With Vamakaskan comes the « New World » Setting. 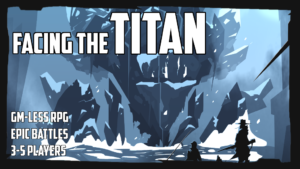 In Facing the Titan, a Setting is a set of elements that allows you to quickly paint an original universe, linked to a Titan. Using a quick pick, these elements form the game setting that will be used during a game of Facing the Titan. I mentioned this in one of the test feedback. This setting, like all the settings that will be in the final game, provides Locations, Factions and Events. For a quick start, there are also Companions and Reunion Sites, which can be used directly in part or as examples! The rules for using the Setting are also provided in this preview, which you can already download free of charge from DriveThruRPG. Preview of Facing the Titan showing Vamakaskan and the « New World » Setting. Available to download on DriveThruRPG. You’re welcome here ! I’ll answer in english for those that don’t speak french. And the articles will all be in the two languages !